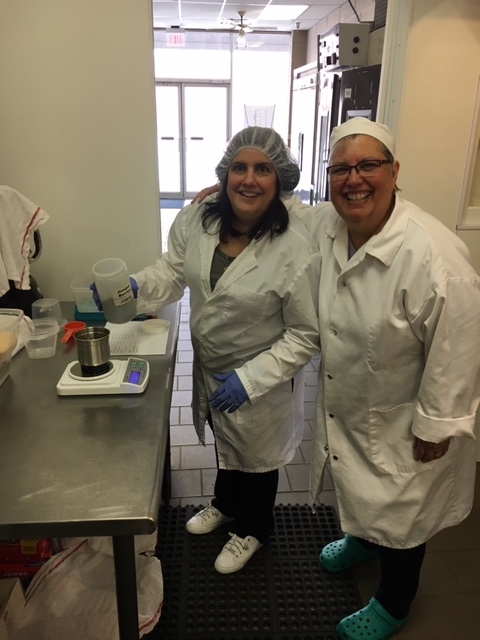 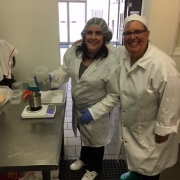 Susan (Carano) Cole and Carol Carano Youngblood making sausage together. 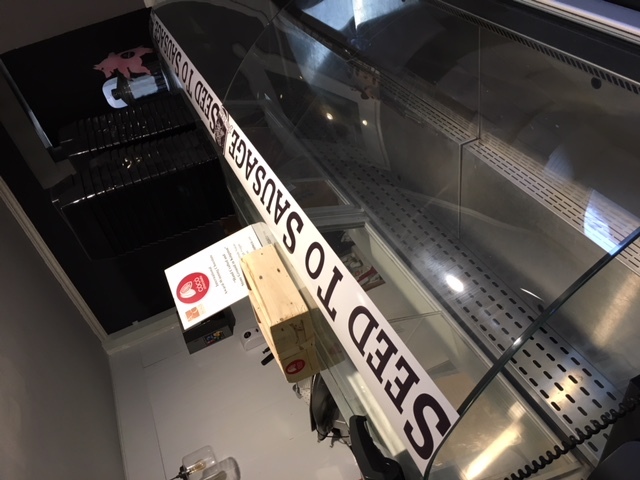 Wouldn’t Dad be pleased! 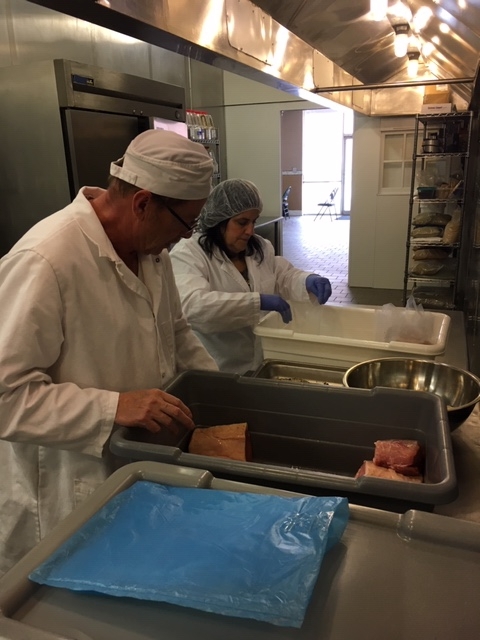 #2 Russ and Carol Carano Youngblood helping to prepare the Lonzino for dry cure. 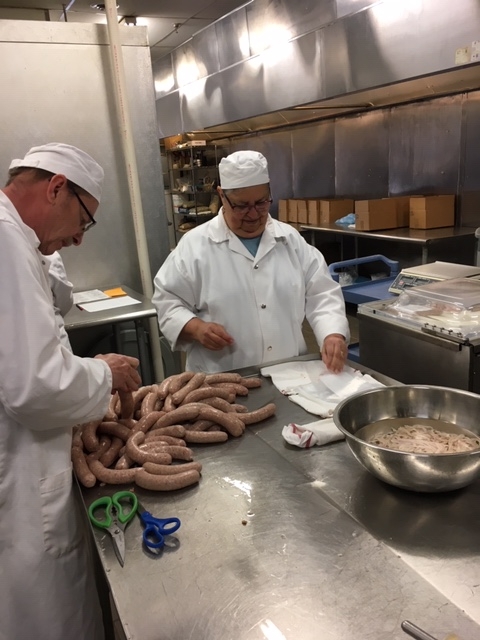 #3 and 4 Russ helping with the sausage making and packaging. 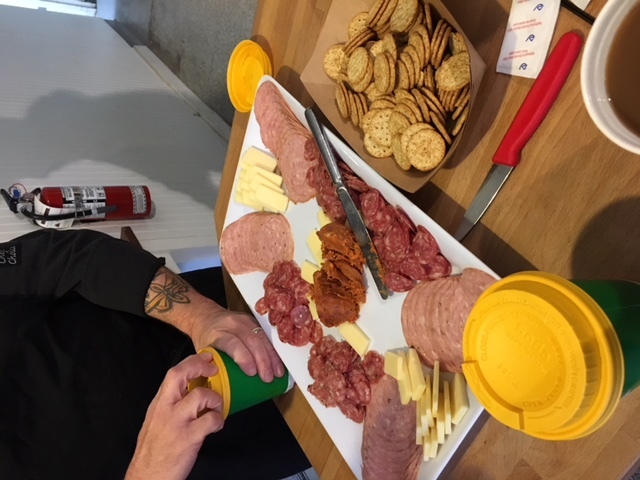 Find our Salumi, Guanciale and Filetto at Cheese & Crackers in Champaign. 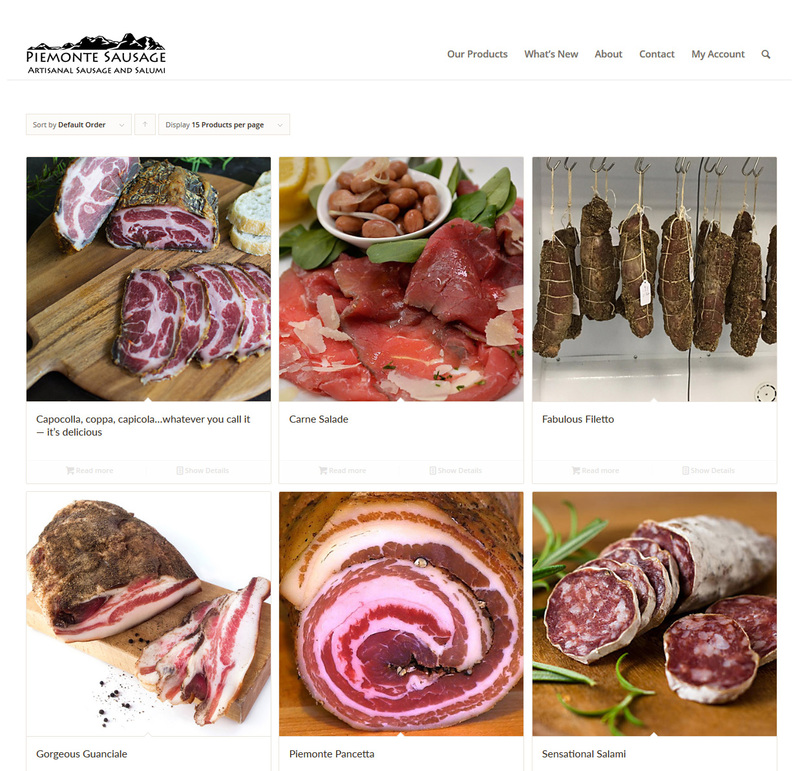 Notable chefs are currently incorporating our sausage and salumi into their menus. 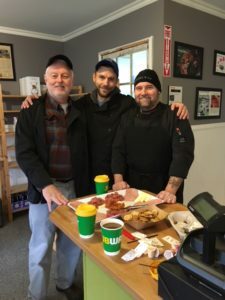 – If you are a retailer or chef contact us to see how you can incorporate Piemonte Sausage and Salumi into your offerings. 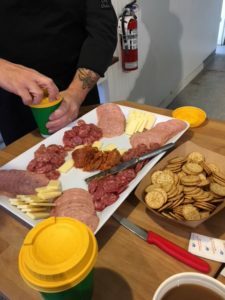 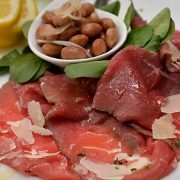 – Have a unique sausage or salumi requirement? 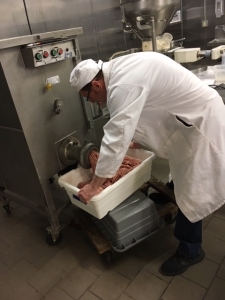 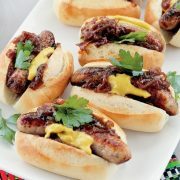 We produce private label sausages using customers’ recipes or can develop a recipe for you. 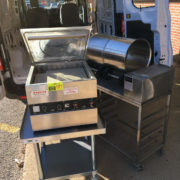 Unloading the van earlier this week. We purchased two used pieces of equipment at an auction near Milwaukee. 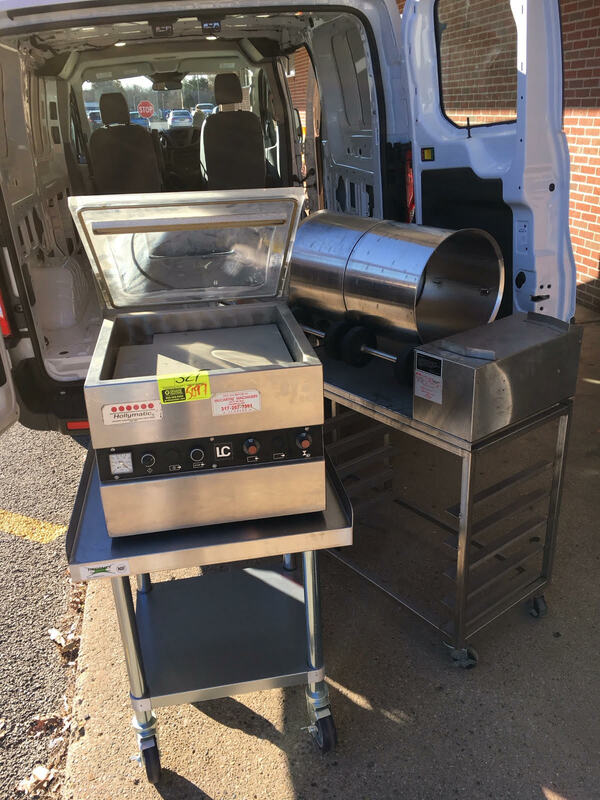 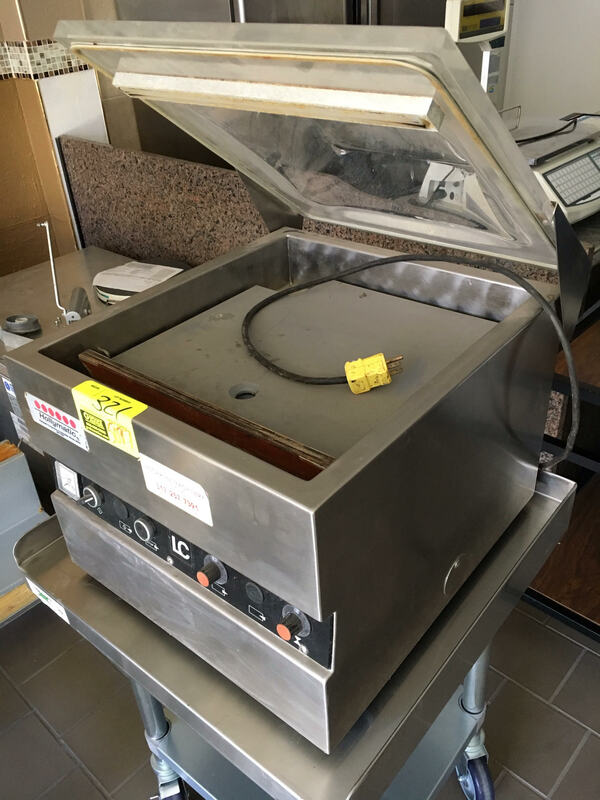 An additional vacuum packer and a vacuum tumbler/marinator. 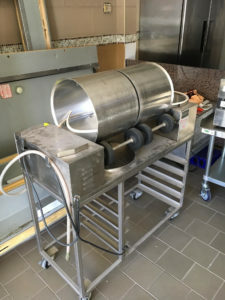 All part of our ramp up so we can begin salumi and charcuterie production. 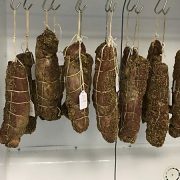 Test/trial runs in December first production to be the second half of January 2018. 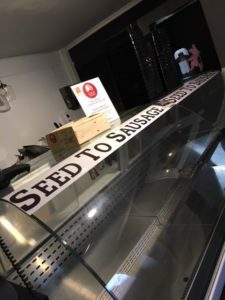 We visited Mike & Derek @ Mike Mc Kenzie’s Seed to Sausage Factory and Store near Lake Shabot, ON -just north of Kingston, ON Canada. 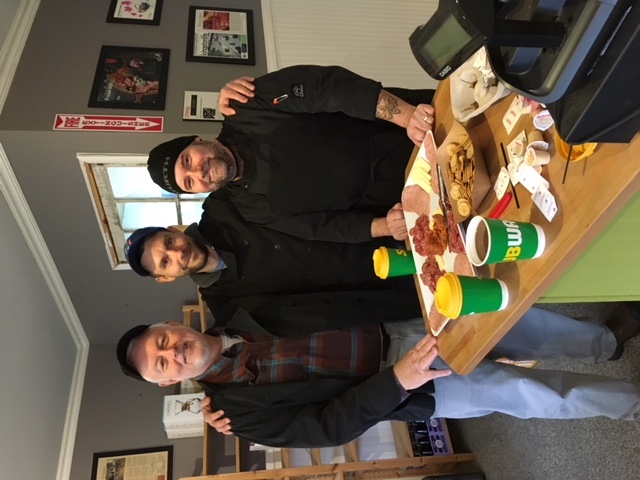 Mike & Derek shared their expertise and delicious products with us. 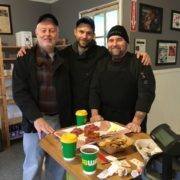 Thanks, Gentlemen, our Salumi will be better because of you! 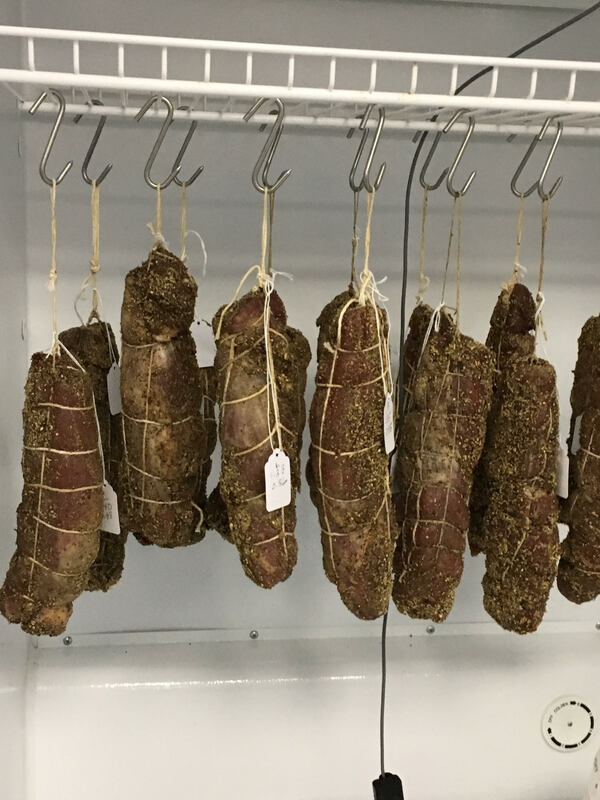 Based on their training in Italy, here is a photo of the first experimental batch of Filetto’ cured pork tenderloin. 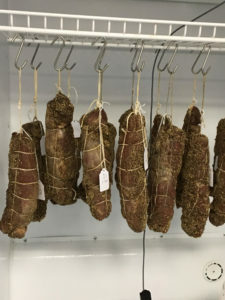 For the record this is technically a salumi, a dried whole muscle. 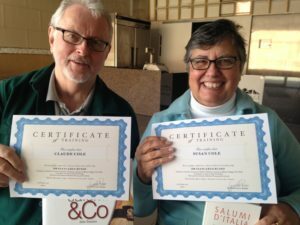 After traveling to Italy, the Coles’ were awestruck by the different kinds of cured meats they saw in the markets. There’s no grinding and stuffing, in fact the process for curing whole muscles is a new project for these expert sausage makers. 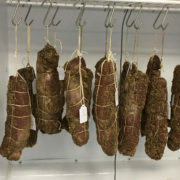 So, the experiment includes salting the meat, curing it for a period of time, rinsing off the cure and then hanging it to age and dry in a meat curing refrigerator. Stay tuned!